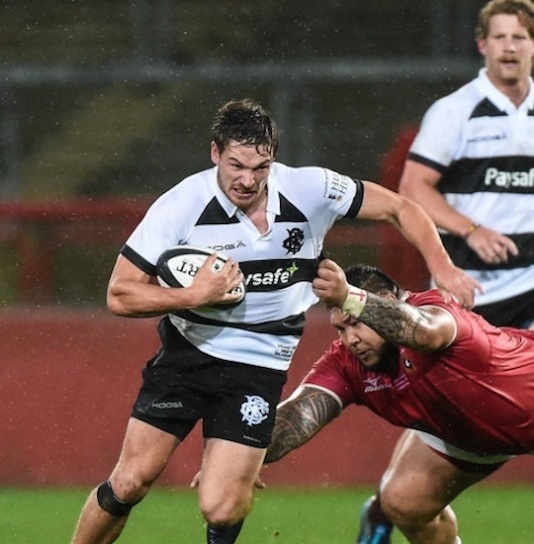 We’re reviewing a stellar 2017-18 season for the Barbarians — and we’ve reached game five, when the club faced up to the Sipi Tau and their first-ever meeting with Tonga at Thomond Park in Limerick. The Islanders became the 22nd international team to take on the Baa-baas during one of the club’s greatest campaigns that was packed full of highlights. In 2017-18 the famous invitation club scored 36 tries in seven games, ran up a record victory against England and produced some thrilling attacking rugby against New Zealand and Australia. They rounded off 2017 by hanging on in pragmatic fashion for a 27-24 victory against against a physical Tonga side. Ultimately it was two very direct tries – lineout drives finished off by Jordi Murphy and Andy Ellis – that saw them home to end the tour had seen them narrowly beaten by Australia and New Zealand on previous weekends. The Barbarians scored two more fluent first half scores through Taqele Naiyaravoro and George Bridge with Robert du Preez adding a penalty and two conversions. The Pacific islanders are England’s first-up opponents at the 2019 World Cup and showcased their direct and physical style throughout. 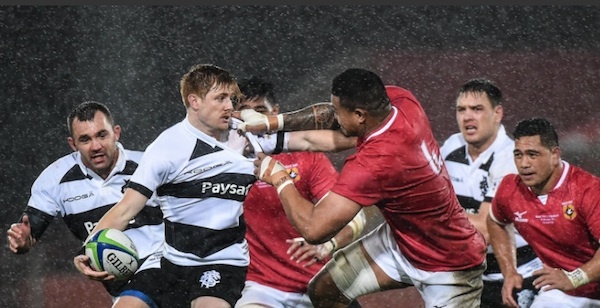 First Leicester full back Pakalani and then Counties flanker Lokotui battered their way over for a 14-0 lead to leave the Barbarians in no doubt about the size of the challenge. They Baa-baas lost James Cronin and Nic Stirzaker to early injuries, too, but worked their way back into the game with a classic combination of power and skill. Naiyaravoro had impressed with two tries against Australia at the start of the tour and hammered his way up the left for a long-range opening try after fielding a kick-pass out wide. Then Bridge finished off a fabulous passage of play involving a Richard Buckman flick and a Vince Aso offload to slide over on the right with du Preez converting to narrow the gap to two points. The Barbarians increased the tempo early in the second half but ended up trailing again after replacement flanker Vailanu burst through some slack lineout defence. But they tightened up their game quickly with a lineout drive that saw Murphy driven over with du Preez drilling his conversion through the swirling rain. Du Preez kept the Tongans at arms-length after that, sliding another fine kick into the corner and this time it was Ellis who joined in the driving maul and emerged from under the forwards with the ball. Tonga struck again through Vailanu two minutes from time but it was too late to turn the tide. BARBARIANS: George Bridge (Crusaders); Taqele Naiyaravoro (Waratahs & Australia), Richard Buckman (Highlanders), Harold Vorster (Lions), Vince Aso (Hurricanes); Robert du Preez (Stormers), Nic Stirzaker (Rebels, vice captain); James Cronin (Munster and Ireland), Akker van der Merwe (Sharks), Brian Scott (Munster), Geoff Parling (Munakata Sanix Blues & England, Captain), Quinn Roux (Connacht & Ireland), Jordi Murphy (Leinster & Ireland), Simone Favaro (Fiamme Oro & Italy), Willie Britz (Sunwolves). Replacements: Adriaan Strauss (Bulls & South Africa), Jacques van Rooyen (Lions), Ruan Smith (Toyota Verblitz), Donncha O’Callaghan (Worcester Warriors & Ireland), John Muldoon (Connacht & Ireland), Andy Ellis (Kobelco Steelers & New Zealand), David Smith (Castres), Sam Carter (Brumbies & Australia).